My travels this year have taken me to 19 countries – the US, Belize, India, Mexico, Germany, Indonesia, Australia, Spain, Norway, Denmark, the Netherlands, Croatia, Canada, France, Greece, Italy, Thailand, Japan and Bermuda – and I’ll add China at the end of December. I’ve flown over 160,000 miles, mainly on United and its partners, and slept in a lot of hotels. I’ve also had some great meals, participated in fun excursions and seen amazing things. The best part? Most of this has been family travel. I’m often asked about my favorite things in the world. I list a lot of activities and places on my Top Spots page, but I thought it would be fun to break it down into smaller categories on an annual basis. I’m including everything that stood out in 2015 as exceptional. If there’s a category that I’m not including that you’re curious about, let me know and I’ll add it. Links are at the bottom. From check-in to departure, the Peninsula was excellent – a hotel so good that I’m thinking about rerouting trips to stay there again next year. Breakfasts next to the river are perfect. The pool is wonderful, especially when you have lunch delivered to your cabana. The spa is beautiful and my massage was excellent – worth paying more for compared to the ubiquitous, less-expensive massage places around town. I even learned how to make several Thai dishes with a Peninsula chef. And I loved commuting across Bangkok every morning because the journey started with a Peninsula ferry across the river. On top of all that, my room was luxurious with one of the best views in the world. This is the resort we had been searching for. The Rosewood is incredibly kid-friendly while also being a romantic destination for couples. They were flexible in their reservations process, allowing the five of us to stay in one villa. The beach and pools are excellent. I loved the bicycles and golf carts used to get around the resort, and the on-site restaurants never disappointed. One of the best things: we knew we were in Mexico. Too many resorts around the world ignore their local cultures, becoming generic destinations in the process. I’m glad the Rosewood chose to embrace Mexican culture. My blog post on our stay is here. Included in the standard room rate is laundry – up to three pieces per person per day. Even when we forgot to set things out, our maid found our dirty clothes and had them cleaned for us. 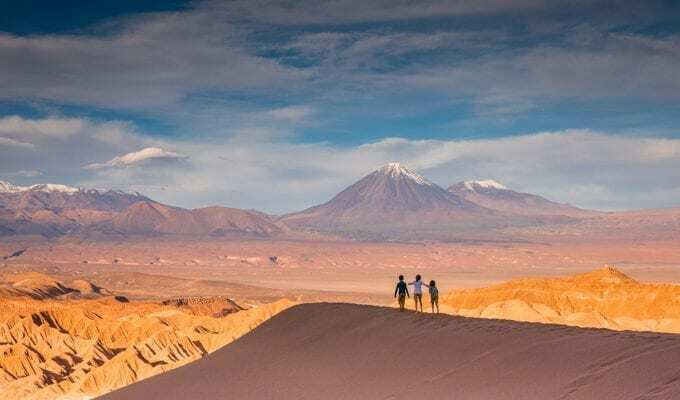 How easy would family travel be if all hotels did that? We’ve stayed at the Antica Torre four times in three years. 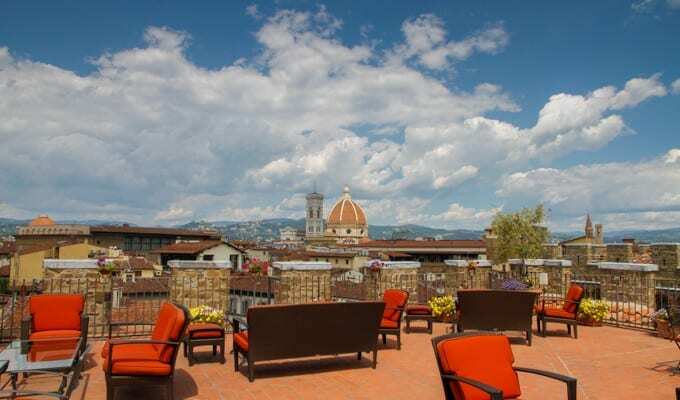 We love the service, the connecting rooms perfect for a family of five, the view of both the Duomo and Arno from our rooms, the breakfasts and the patio (below). 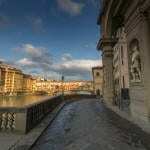 And we love the location – on the Arno, a block up from the Ponte Vecchio, and a short walk to the Duomo, SMN train station, markets and our favorite restaurants. 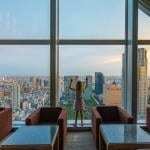 This summer we toured another very highly ranked hotel in the city, a favorite of several friends of mine, but the location was a deal-breaker – well outside of the center of town. That made us realize that we would never trade the location of the Antica Torre for any other hotel. Next March I have two extra days after a conference to spend anywhere in Europe. I’ll likely be checking into the Antica Torre! I’m an outspoken proponent of gifts for kid guests at check-in. 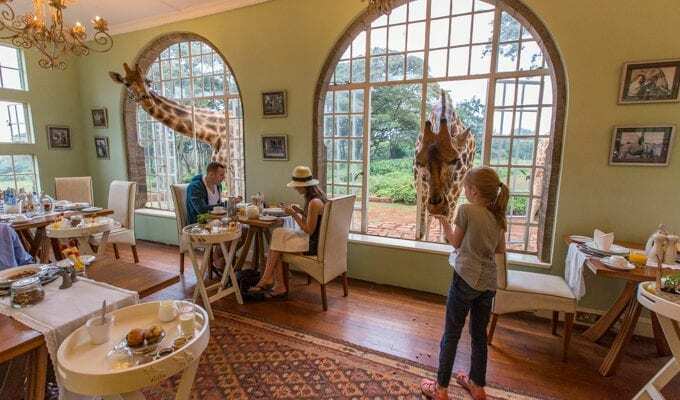 It immediately engages the kids, makes them feel welcome, gives them something to do or play with during the stay, gives them a connection to the hotel and usually leads to a better trip – so much from something so small. At the St. Regis in Aspen though they didn’t go small. The welcome bags for each kid included journals, cups and FAO Schwarz teddy bears. My kids didn’t set the bears down during our stay! And guess where our kids want to go next summer? A return booking will be a nice ROI for the hotel for that initial gift bag. I wish all hotels realized that. We’re not a big Kids Club family. 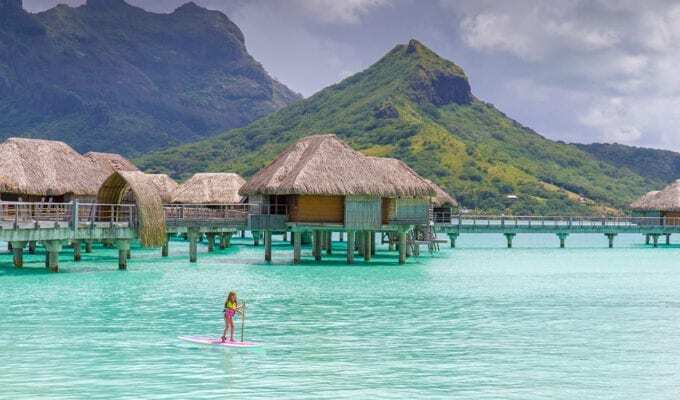 Whether we’re at resorts or on Disney cruises, we rarely, if ever, check the kids into the kids clubs – we use the clubs more as a temporary way to get out of the sun, or when there’s a fun activity taking place that our kids are interested in. 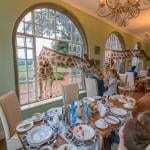 We stayed at several hotels this year with excellent kids clubs with great activities. The Four Seasons Jimbaran Bay is my winner because my daughter wanted to spend a higher percentage of our stay at the kids club than anywhere else we’ve been. Literally I would pick her up and she would ask to go back 30 minutes later for another activity, then she would do the same thing after that activity. At the Four Seasons Jimbaran Bay in Bali – one of the few times my daughter wasn’t at the kids club. We spent several weeks on Naxos, at the Nissaki Beach Hotel on St. George Beach. We spent hours every day on the beach and in the warm water, shallow to several hundred meters out which is perfect for kids. And there are tavernas up and down the beach, so it’s convenient for lunch and dinner too. I’ve heard great things about other beaches on Naxos, but we never explored the others, perfectly content with the beach at our hotel. One thing we wish we had brought with us: swim shirts for the kids. The sun was strong and there weren’t many places to buy kid-sized swim shirts in Naxos Town. St. George Beach, from the Nissaki Beach Hotel, in the late afternoon. Multiple kid-friendly pools, water-based activities, two waterslides and even a lazy river – the Four Seasons Orlando had it all. In fact our kids were having so much fun at the hotel that they voted not to spend a day at Disney World, just minutes away. The hotel did everything right, but it’s the pools that will make us want to return. My blog post on our stay is here. I spent hours this year staring from the windows of my hotel rooms – I bet at least half of the places I stayed had great views. But the Loews Regency beat them all. It was gorgeous during the day and at sunset, with a view including the Golden Gate Bridge, the Coit Tower, Alcatraz Island and the Transamerica Pyramid, but it really got magical when the fog moved in early in the morning. The view changed from minute to minute as the fog rolled through the city and the sun came up. The hotel was excellent beyond the view, but the view is why I’ll book at the Loews again when I’m back in San Francisco. My afternoon view from the Loews San Francisco. During our three weeks in Naxos we made multiple climbs to 1739 to enjoy the sunset. The kids loved the homemade lemonade and we usually had the excellent sangria. A perfect spot to end the day. The view from 1739 on Naxos. This is our favorite restaurant in the world, and it’s the reason we traveled from Naxos to Santorini this summer for a day and a half. We had a three-hour lunch, which would be a lot anywhere else with kids, but at Dimitris it flew by. The setting is amazing, right on the turquoise water below Oia, there’s a beach and rocks to play on within easy walking distance, and there are cats everywhere which the kids loved. Beyond the setting, the food is incredible. Grouper, tzatziki, tomato and zucchini fritters, baklava, you name it – we’ve never had a bad dish there. Now to figure out how to get back next summer. It’s worth the trip, no matter where you are. I enjoyed seven massages this year in five countries – it’s always so tempting when the prices are far below US prices, and especially US resort prices. While several were excellent, the massage at the Turtle Inn was the best I’ve ever had. It was a perfect mix of multiple styles (Swedish, Thai, Hawaiian and more) that left me wishing that I hadn’t waited until my last day to try out the spa – otherwise I would have been there every day! Plitvice Lakes Park is a series of 16 interconnecting lakes which cascade into each other. My 7-year-old and I had an amazing day walking everywhere through the park – one of the prettiest places I’ve ever been. Even during summer it didn’t feel crowded. Highly recommended. The tour company that we booked with is listed at Top Spots. I love book stores, and have an added incentive everywhere to seek them out as I collect the first Harry Potter book in the local language every country that I travel to. In Oia we spent a good hour in Atlantis’ series of book caves. Unfortunately their building is being sold and they may not be in business much longer (read about it here). But if they’re still there, stop in – you won’t be disappointed. And yes, I purchased Harry Potter there – I already had the Greek edition, but they had it in Ancient Greek – a perfect addition to my collection from a perfect bookstore. Atlantis Books in Oia, Santorini. We travel a lot, and we abuse our luggage. We prefer rolling duffels or side-sided suitcases – they’re fairly lightweight and we can flatten them to some extent to force them into hotel room closets or under cruise ship beds. The Patagonia Black Hole duffels hold up better than anything else we’ve found. And we generally bring with us a rolled-up, non-wheeled Black Hole duffel as an extra bag for things that we purchase. This summer we got by for five weeks with two 120L duffels (below) and two small backpacks. Our Patagonia duffels outside the Mykonos Bay Hotel on Mykonos. The LEGO Inside Tour is the coolest two days ever for a kid…or an adult who likes LEGO blocks. LEGO only allows 140 people a year behind the scenes at its headquarters, amusement park, factory and employee-only history museum, and you also get to meet with LEGO designers to learn how everything is created, from concept to final package. A bonus: shopping at the LEGO Company Store with the 40-50% employee discount. My blog post is here – I go into a lot more details on the amazing trip. LEGO Headquarters in Billund, Denmark. We weren’t allowed to take pictures at most of our stops. I typically go on one or two photo trips a year around the world. My favorite photo trip this year, and possibly ever, was Colors of India in January/February. We started in Varanasi, explored Rajasthan and ended in Agra, over the course of three weeks. The organization, the small group, the locations and the leadership were all excellent and, most importantly, I ended the trip with dozens of photos that I loved. Piper isn’t planning any trips back to India, but I highly recommend following her and signing up for any of her trips that catch your eye. Africa is her specialty. For more photos from my trip, see my Travel Photography section. Sometimes travel takes unexpected turns. In Amsterdam my son and I got on the wrong train from the airport to the Central Station and ended up outside of the city. I called a local friend to ask her how we should get back to the city and our hotel. She said to take a train to Sloterdijk Station where she would pick us up. I assumed she would bring a car. Nope. She arrived with a box bike, put my son and me in the front with our luggage, strapped my backpack to the back, handed us drinks and snacks and then wheeled us 20 minutes through the city on a beautiful Friday night. If we had boarded the correct train it never would have happened, and we would have missed out on one of our highlights of the year. Thank you to the amazing Brigitte Opel for the ride! On our box bike in Amsterdam, about to begin our journey through the city. 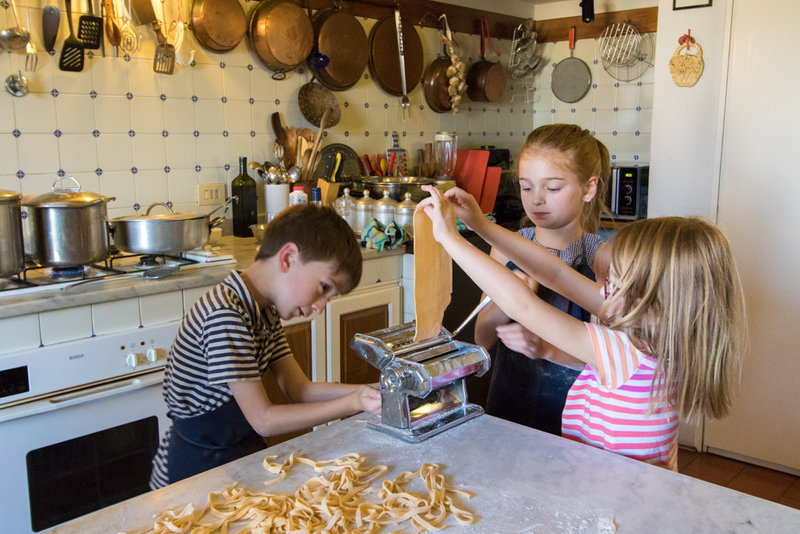 We take cooking classes everywhere we go – it’s a great activity for kids, and they learn new skills, which they put to use when we arrive home. This year we had several good classes around the world, but the best was in Florence in August. We made four courses, all of which were excellent, and had a lot of fun doing it. Links for the places mentioned are below. Please note that these are NOT affiliate links – I do not profit from recommending these places and activities. What a great list! It makes me wonder if we made the wrong choice between the Rosewood Mayakoba and the Grand Velas (we chose Grand Velas). Hopefully we won’t be disappointed for our trip next March! Keep me posted on Grand Velas. We obviously loved Rosewood Mayakoba, but I can’t speak for anywhere else in the area (except that we had a terrible stay at one of the Iberostar resorts nearby several years ago). What an amazing wrap up! Not sure where I’d start… maybe the travel photography course in India? Love it all. Thanks Margo! Yep, I love going on photo expeditions around the world, and India’s probably the easiest place anywhere to get great photos. Where are you off to next? Super duper photos and recommendations. Love that SF view and so much more. What wonderful memories for your children and your family. Best! Thanks Charles! See you in Minnesota? Wow, what a fun travel year for your family. Love the box bike in Amsterdam and the Santorini book store’s Philosophy tower! Love your posts. I’ve never stayed at the Waldorf, so I can’t compare them. Sorry! I would love to visit Chedi Club Gajah-Bali I just love the way the maid assigned to you guys was able to find dirty clothes and have them sorted for you guys. Definitely no hotel would do that. Had you paid for this extra service? Nope, we didn’t pay extra. It was one of the standard items. 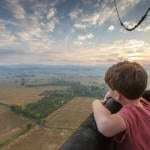 Hi Eric, I discovered your blog on Young Adventuress. Let me say this, you have got to be the most awesome Dad in the world for taking your little ones on all these adventures! 🙂 Just wow! What an impressive journey. Thank you for so such wonderful information and suggestions. I hope to see Porto and Portugal on your fabulous list very soon. I wish you ando to your family a wonderful 2019. Thank you Jose! We may be in Porto this year. Will keep you posted!